2014’s World Cup is in full swing and it’s as thrilling as ever. To celebrate the excitement that the world is experiencing during this event, VOLO Athletics has produced a MINI Flag Ball. 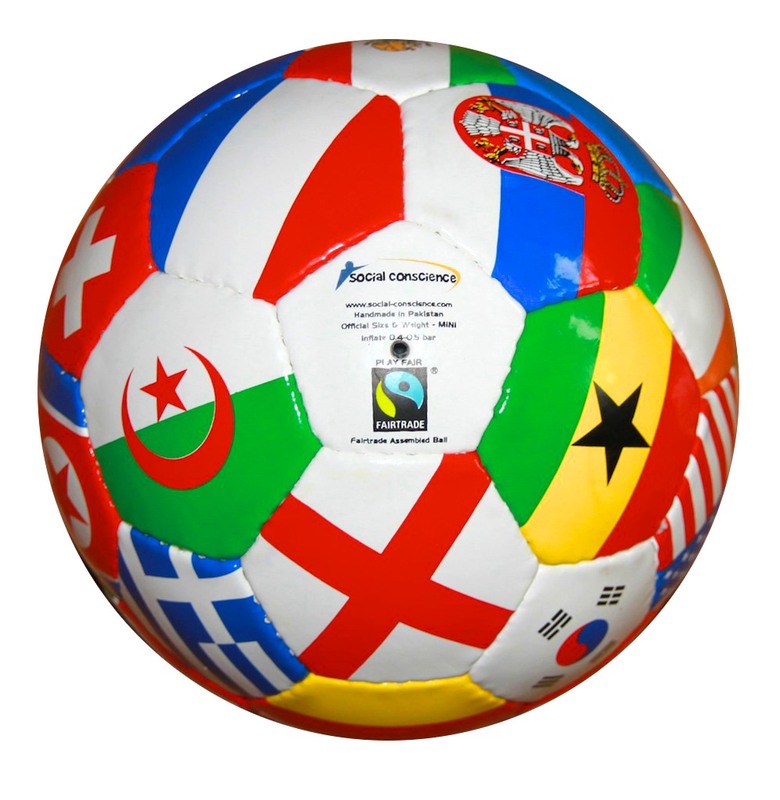 Flags from all the nations participating in this year’s World Cup are featured on the ball, which is a MINI replica of a standard size 5 ball – 32 panels for 32 countries! If you want to pick one up you’ll have to act fast as they’re nearly sold out! Visit Choices Markets in BC, Community Natural Foods in Calgary, or Ten Thousand Villages locations across Canada. And if you want to buy one and give one, consider World Vision Canada’s new 1 for 1 program where you can buy a regular fair trade soccer ball for a child overseas, and receive a Flag Ball in return.